The ladies at Wedding Chicks have a free template up for another fun do-it-yourself project. 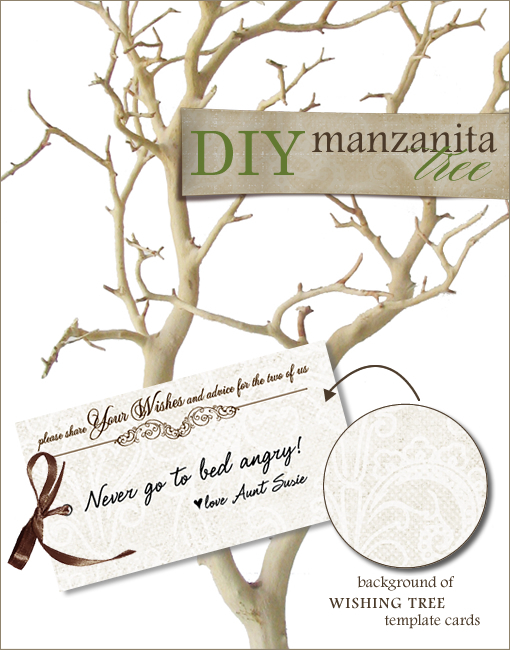 This time it is step by step instructions on assembling your very own Manzanita tree with templates you can download to make the wish cards. Head over to their blog for all the instructions!